E. Elias Merhige’s film Begotten (1991) is quite possibly the most important experimental horror work of its time. The spectacularly abrasive and ambitious celluloid nachtmahr was inspired by a near death experience Merhige had at the age of 19 years old, thus the director acutely invested his entire petrified soul into the bewitching, yet glaringly blasphemous film. Begotten was intended to be the first film in an unofficial trilogy by Merhige, but the director would not create a second chapter in the series until 2006 due to his marginally successful career in Hollywood. Popular goofball actor Nicholas Cage was a fan of Begotten and would go on to produce Merhige’s first commercial film Shadow of the Vampire (2000); a historical fictional work chronicling the production of German master director F.W. Murnau’s Nosferatu: A Symphony of Horror (1922) with an enticing twist: Max Schreck is a real bloodsucking vampire. Naturally, I enjoyed Shadow of the Vampire as Murnau is one of my favorite directors yet the film lacked the auteur flare of Merhige’s previous film. In 2004, Merhige would go on to direct another commercial work – Suspect Zero – an embarrassingly subpar serial killer flick starring Aaron Eckart and Ben Kingsley that was partially produced by Hollywood crackpot actor Tom Cruise. On top of being an artistic failure, Suspect Zero neglected to earn back half of its original $27 million dollar production costs at the box offices. 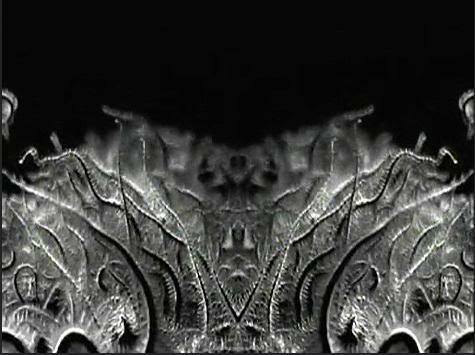 Merhige would also go on to direct music videos for bands like Marilyn Manson, Danzig, and Interpol. 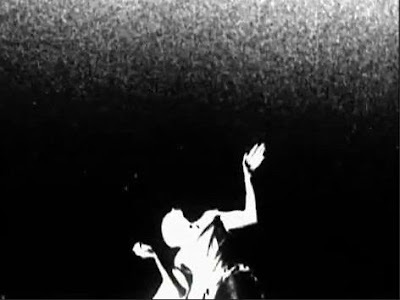 In 2006, E. Elias Merhige finally released the second film in his trilogy – Din of Celestial Birds – a 14 minute short that was created in a similar aesthetic vain to that of Begotten. Upon learning that E. Elias Merhige finally released Din of Celestial Birds (2006), I was fairly reluctant to see the film. After all, it took the filmmaker 15 years to finally direct another film for his experimental trilogy. After watching Suspect Zero, I pretty much lost hope in Merhige’s seriousness and artist prowess as a director. Experimental auteur filmmakers like David Lynch and David Cronenberg had entered the mainstream, yet still managed to direct groundbreaking works, but I can’t say the same thing about Mr. Merhige. According to Merhige, Din of Celestial Birds is an abstract work dealing with the concept of evolution and the birth of consciousness, yet the only thing I got out of the film was a couple interesting images, but I remained starved for the purported philosophical food for thought Thus I am sad to the report that Din of Celestial Birds was more disappointing than I originally expected it to be. 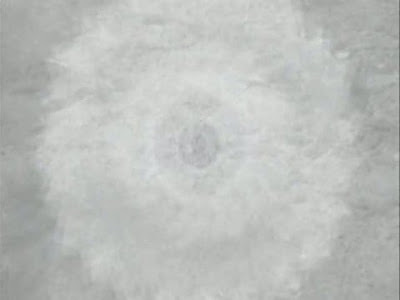 In fact, the short feels and looks like Merhige was merely attempting to rip-off his younger self in a feeble and ultimately failed attempt to recreate the otherworldly spiritual nature of Begotten. I personally think it is quite tragic that Merhige has consistently failed to top a film that he made during his early dilettante years. 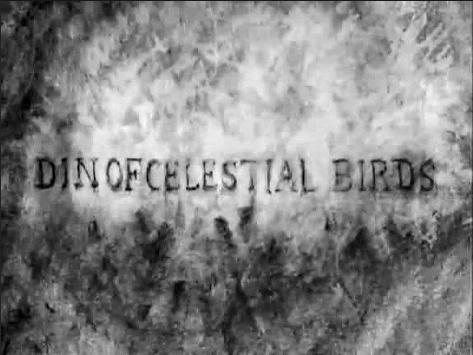 Unlike the wonderfully gritty and grotesque work Begotten, Din of Celestial Birds is an overly polished film directed by a formerly ambitious auteur who matured for the worst. Although I suspect that some fans of Begotten might find Din of Celestial Birds to be an interesting work, they could never honestly admit that it captures an inkling of the metaphysical horror that permeates throughout the original film. 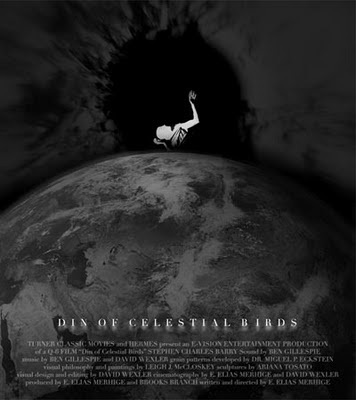 Had I saw Din of Celestial Birds not knowing that it was directed by E. Elias Merhige, I would have thought the director was someone with pretensions geared towards being the next David Lynch, as the spiritless short has the inorganic feel of a self-indulgent and unoriginal student film. Whereas viewing Begotten has been a magical life changing experience for many, Din of Celestial Birds is the kind of film you would soon forget immediately after viewing. Mother earth may have committed suicide in Begotten, but she must have fallen asleep in Din of Celestial Birds. Despite being totally discouraged by Din of Celestial Birds, I will always hold some respect for Begotten; a wonderful pagan nightmare without rivals. E. Elias Merhige once mentioned that cinema is the most meaningful artistic medium of modern times. Although I find Merhige's statement to be somewhat valid, nothing will supersede the irreplaceable and distinctly intimate nature of literature. It should be noted that Merhige has openly admitted that his films are somewhat inspired by occult literature he has read over the years. Knowing that Merhige considers cinema to be the most intrinsically valuable art form of the present era, one would think that he would be more focused on directing revolutionary cinematic works than creating overpriced disposable Hollywood products. Unfortunately, I doubt Merhige will ever break his reputation as a "one hit wonder" auteur who sold his once splendidly austere soul to the businessmen of Sunset Boulevard. During the production of Din of Celestial Birds, Merhige had help from Q6, a seemingly unthinking collective of philosophers and artists. The short opens with the titles "hello and welcome ... do not be afraid ... be comforted ... remember ... our origin..." and than precedes to show the birth of matter from nothingness. Despite the obscenely pretentious scenario portrayed in Din of Celestial Birds, the film adds up to nothing (as advertised!). By reading the film's plot, one knows that E. Elias Merhige – a former student of the occult – is now a proactive nihilist whose spirituality has worn to nil; no doubt the hefty price most people have to pay to work in Hollywood.. Although Begotten is a sadistically sacrilegious work, the film still features a dark spirituality that is quite alluring. I guess after working in Hollywood for so long, Merhige only believes in matter as a matter-of-fact and in Din of Celestial Birds it eminently shows. I just hope E. Elias Merhige decides to do something more original and compelling for the final film in his unofficial trilogy, but that seems like a rather dubious and forlorn dream. I like E. Elias Merhige because he isn`t British.